Give your property a facelift by installing a new fence. 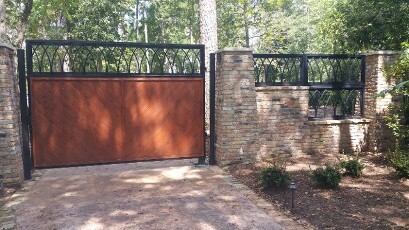 Affordable Custom Fence installs a variety of fences for residential and commercial customers. Even though we are a small, family-owned-and-operated fence company, we provide big service and quality workmanship. We have served the local area for more than 25 years, and we are proud of our reputation for excellence. You can trust us to provide an exceptional finished product at a competitive price. As a reputable fence contractor, we only use the highest quality materials and adhere to industry-standard best practices on every fencing project we undertake. The result is a beautiful, strong, and secure fence that meets your needs and stands the test of time. Privacy is a big concern for many property owners. You should be able to enjoy spending time in your yard without worrying about being seen. Privacy fences offer a perfect solution. These attractive fences are designed to block lines of site to areas of your property that you want to keep hidden from view. They also reduce traffic noise and make your property more secure. In some cases, building a fence can even reduce your insurance premiums. Even if you get along great with your neighbors, a fence will improve your property and help you maintain a good relationship. With a fence to clearly delineate property lines, there will never be any uncertainty about where one property ends and another begins. Every property is different, and the ideal fence for your home or business depends on a number of different factors, including your budget, personal preferences, and desire for privacy. 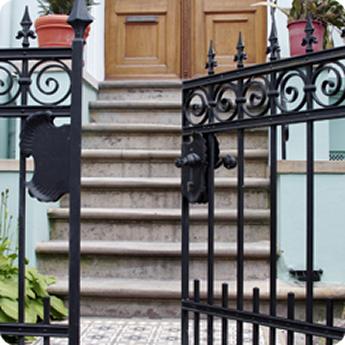 We sit down with you and discuss what type of fence will work best for you. There's something special about the looks and performance on a fence from us. It not only adds security to your home, but it improves your property values. If you are thinking about selling your home in the future, then installing a new fence is an excellent way to boost your asking price. That's because property owners enjoy the character and privacy that a fence affords. A fence is also a great way to keep pets on your property and other animals away from your home. Our fence company does exceptional work at affordable rates. Don't get fenced in by companies that charge high prices for their services. Because we are a family fence company, we have built our business on family values. We treat all of our customers with respect. That means you'll enjoy a beautiful fence at a price you can afford. Contact us today to request a free estimate. We'll work closely with you to help you choose a fence that is perfect for your needs and your budget. Contact us for a free estimate if you need fence installation or repair. We serve customers throughout Houston, Sugar Land, Katy, Fulshear, and Missouri City, Texas, as well as the surrounding areas.